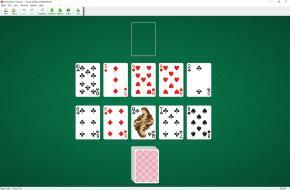 Simple Addition Solitaire uses one deck (52 cards). You have 10 tableau piles. Kings are discarded in pairs. Easy to win.